Hanover - 1. FSV Mainz 05 will be looking to pick up where they left off on Matchday 18 when they travel to Hannover 96 on Tuesday evening (kick-off 19:00 GMT / 20:00 CET). The Carnival Club had failed to win any of their last eight league matches prior to Saturday's encounter with SC Paderborn 07, but goals from Yunus Malli (2), Pablo de Blasis, Sami Allagui and Johannes Geis sealed a 5-0 win for Kasper Hjulmand's side. However, Hjulmand is refusing to get carried away after watching his side kick off the Rückrunde in breathtaking fashion. "The team was very happy with the win, but that's in the past now and we're focusing on our next game," said the Dane. "Even after victories, it's important to analyse the game properly and continue to work hard." Hjulmand will be without the injured Ja-Cheol Koo and Jonas Hofmann for the trip to Lower Saxony, while Jo-Hoo Park has yet to return from international duty with South Korea. 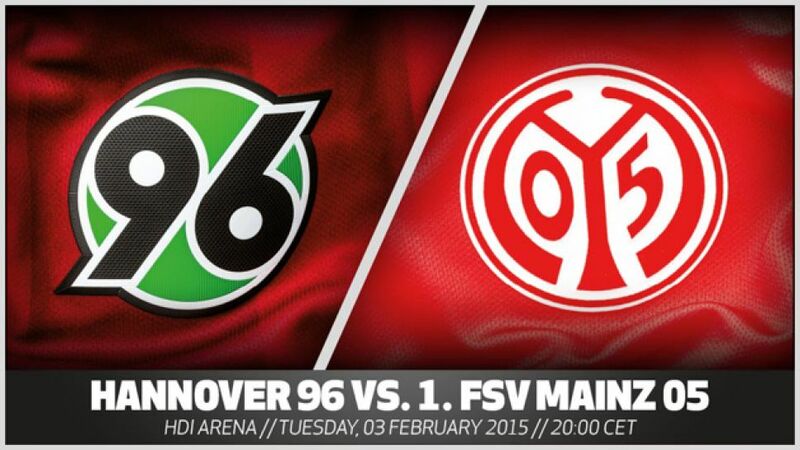 Hannover, meanwhile, are hoping to bounce back from their narrow 1-0 defeat to FC Schalke 04 at the Veltins Arena. "The team's performance was ok, but in order to pick up points you also have to score goals," said Reds' head coach Tayfun Korkut, who could name new signings Didier Ya Konan and Joao Pereira among the substitutes on Tuesday. "But the important thing is that we are creating chances. That's what we're doing and everything else will fall into place eventually."